It’s All in Your Genes. Consider this, you would never walk into a shoe store and grab any pair of shoes off the shelf without trying them on first. Why? Because you understand that not every pair of shoes are going to fit your feet. If you buy shoes that do not fit properly, best case scenario, they are uncomfortable; and worst-case scenario, they will actually damage your feet. · How well will the drug work for me? · How much do I really need to take? · What side effects will I experience? 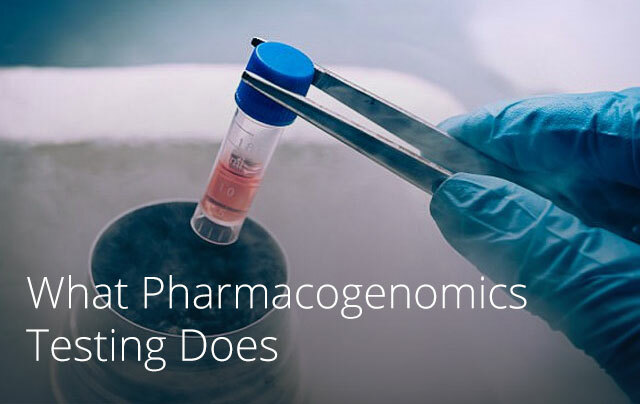 Taking a new drug, be it prescription or over-the-counter, without drug-gene testing is like rolling the dice on your health. At Physician Partners of America, our mission is to provide you with the individualized medical care that is customized to meet your unique makeup. The evidence clearly shows that no two patients react the same to medication. Our drug-gene testing gives you a clearer picture of which medications will work for you as well as which medications could be harmful. There’s no reason to take chances with your health. Learn more about our drug-gene testing and get the safe, effective, individualized care you deserve. As a loving parent, your top priority is to provide your child with a safe and nurturing environment to grow up in. Seeing to it that your child has the best medical care is fundamental to achieving that goal. Unfortunately, some parents have had the heartbreaking experience of seeing what was supposed to be a routine medical procedure turn into a nightmare because of not having critical information that drug-gene testing could have provided them. Does your child have a genetic variation that makes a liver enzyme overactive? If they do, their body may convert pain medication containing codeine into morphine, which has potentially deadly results. Drug-gene testing is a simple test that can tell you in advance if your child is an ultra-rapid metabolizer. Drug-gene testing gives you the information you need to make sure that the prescription drugs your child receives after medical procedures, including minor surgical procedures, are helpful and not harmful. 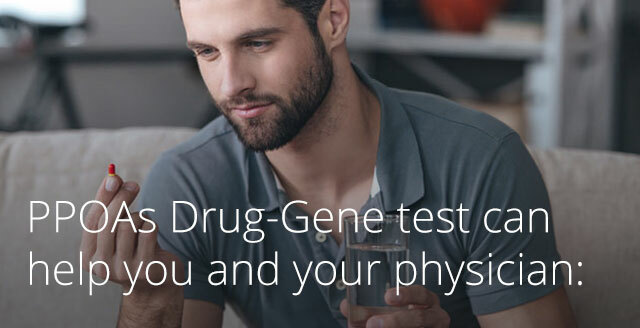 The information you receive from drug-gene testing will benefit you for the rest of your life. By sharing the results of your drug-gene test with your healthcare providers you can protect yourself from unwanted side effects. Physician Partners of America is proud to offer you the opportunity to learn about your genetic response to medications with a simple cheek swab. Your doctor will perform the swab, or you can do it at home. The swab is then sent to a laboratory where your unique drug processing genetic characteristics are identified. The information you’re provided with is confidential. We will never sell your results or enter them into a database. Contact us. Learn how a drug-gene test can help you and your physician get the individualized, personalized care you deserve. Now there is a simple genetic test that can help your doctor determine which drugs and doses will work best for you without worrisome side-effects. PPOA’s drug gene test starts with a simple cheek swab done by your doctor, pharmacist or at home with a mail order kit. The swabs are then sent to our proprietary testing lab to determine your unique drug-processing genetic characteristics. Unlike some hereditary genes testing services, the results are not sold or entered into a database. Your healthcare provider will receive a report with your results and detailed recommendations for possible changes to your drug regimen or dosages. Contact PPOA to set up a time for your first consultation via video conference. Mail your kit back to Physician Partners Of America. Complete follow-up telemedicine appointment to discuss your results. 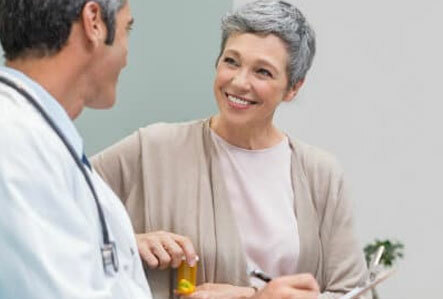 Test results are good for life and can be used before medications are prescribed in the future.